Chocolate Mexican Wedding Cookies/Russian Tea Cake/Mexican Wedding Cake/Italian Butter Nut/Southern Butterball/Snowdrop/Viennese Sugar Ball/Snowball/Sugar Cookies. "GLOBAL KADAI" Event Announcement Here:An event hosted here @ CILANTRO. These melt-in-your mouth cookies, go by many names, a Russian Tea Cake, a Mexican Wedding Cake, an Italian Butter Nut, a Southern Butterball, a Snowdrop, a Viennese Sugar Ball and a Snowball. They are very popular, not only during the Christmas season, but also at weddings, and other festive occasions. 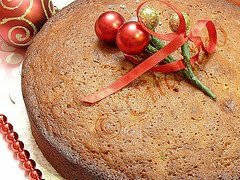 According to several food history sources and cookbooks, Mexican wedding cakes and Russian tea cakes are a universal holiday cookie-type treat. This means the recipe is not necessarily connected to any one specific country. 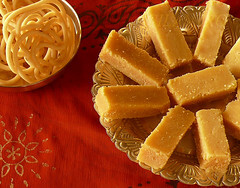 It is connected with the tradition of saving rich and expensive food (the richest butter, finest sugar, choicest nuts) for special occasions. Food historians trace the history of these cookies and cakes to Medieval Arab cuisine, which was rich in sugar. 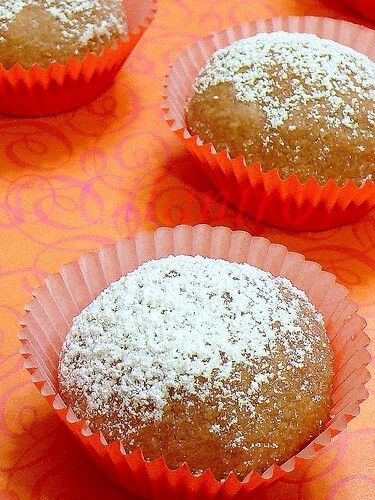 Small sugar cakes with nuts and spices were known to these cooks and quickly adopted by the Europeans. This sweet culinary tradition was imported by the Moors to Spain, diffused and assimilated throughout Europe, then introduced to the New World by 16th century explorers.Sugar cookies, as we know them today, made their appearance in the 17th century. Recipes called Mexican wedding cakes descend from this tradition and they first appeared in American cookbooks during the 1950s. Below is a recipe adapted from Karen Ginnis and Indianised for “Global Kadai”, which recreates the magic of these cookies in an Indianised way, bringing in the flavors familiar to Indian cuisine. Soak the almonds and wash several times until the pink color goes and grind using a mixer. In a large bowl, cream the butter and 1/3 cup sugar until light and fluffy. Add the vanilla extract. In a separate bowl, combine the flour, ground almonds, stir in chocolate chips, cardamom and salt, mix well. Preheat oven to 325° F (180° C). While cookies are still warm, sift 1/2 cup of the confectioner's/powdered sugar over the cookies or roll them in the coating. They look beautiful and so perfect shape. Elegant and pretty cookies, looks prefect! I will try making these cookies during pongal, for global kadai.. Thank you, I have done the update. And those sweet balls look stunning!! very cute and beautiful cookies..
Like the snowy effect on top! they look lovely..have tried these before..but urs looks just stupendous! Cookies look perfect. Love the sugar topping! The cookies look picture perfect Cilantro. I guessed that you would have added cardamom powder. Nice entry for the event,looks sinful!! Looks delectable - I want to take a bite out of it now! Your cookies look scrumpticious.Nice clicks too.